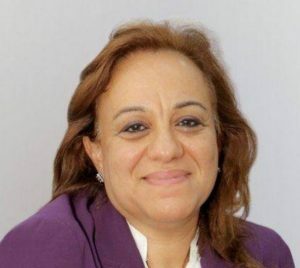 Prominent Libyan lawyer and human rights activist Azza Maghur has accused UNSMIL of double standards over its decision to reject the appointment by the House of Representative (HoR) of Mohamed Al-Shukri as governor of the Central Bank of Libya. It claims that the decision contravenes the Libyan Political Agreement (LPA) because it was not reached in consensus with the State Council, as laid down in the LPA’s Article 15. UNSMIL’s position on the CBL appointment is wrong says Maghur in a legal opinion published on her Facebook page. In it, she highlighted a number of violations of the LPA to which UNSMIL has turned a blind eye. The continuation in power of the PC and the GNA despite the expiry of the LPA’s two-year limit as stipulated in the LPA itself. Additionally, Maghur pointed out, the first phase of the action plan of UN special envoy Ghassan Salamé had failed because there was no consensus between the HoR and the State Council despite their meetings in Tunis in September and October. Moreover, Salamé himself had submitted an initiative on amendments to the LPA to both the HoR and the State Council which the HoR had accepted but the State Council rejected. That rejection, she noted, was a rejection of the consensus in Article 15 but Salamé had said nothing about it. How could he continue holding to it after it has been rejected by the State Council, she asked. Article 15 was an obstacle to the implementation of the LPA, she said. The contradiction between UNSMIL’s insistance that the LPA has not expired because it has not yet been made law by the HoR and now its criticism of the HoR for not abiding by the LPA’s terms has been pointed out by numerous other commentators.